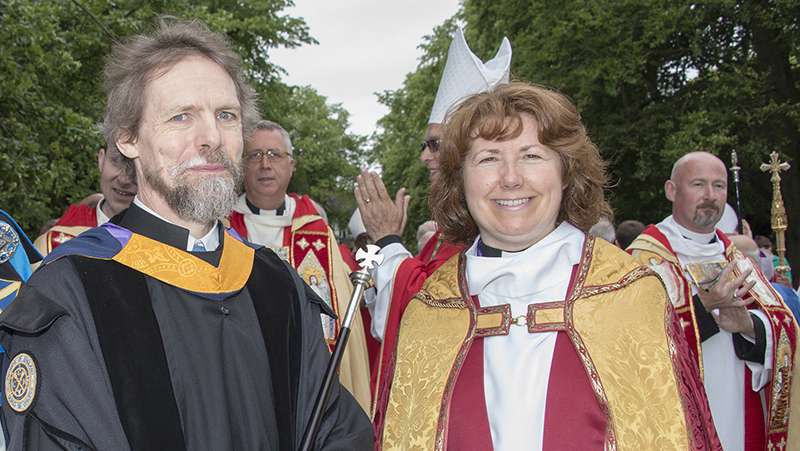 The Revd Anne Hollinghurst is to become the next suffragan Bishop of Aston, in the Diocese of Birmingham, Downing Street announced this morning, 2 July. Anne has been Vicar of St Peter’s, a city-centre church in St Albans, since 2010, where she has led the church in a strategic vision for mission and ministry. She has developed, grown and diversified the worshipping community at St Peter’s, which now includes Messy Church, Contemplative Fire, and Forest Church gatherings in addition to four Sunday congregations and a longstanding choral tradition. She has developed the church’s wider relationship with the city and enhanced its civic links, as well as developed relationships with other churches in St Albans. She has steered a creative churchyard project focused on welcoming visitors, environmental conservation, and which has brought artworks and renovation to the extensive church grounds, as well as seeing them used creatively for worship and outreach events. Anne has also served the Diocese of St Albans as a member of the Church of England General Synod. Speaking about her nomination, she said: “As I prepare to leave one city for another, there will be much here that I shall miss, not least some of the wonderful people from the church and the wider community. I do know that all I have valued, learned and been a part of here will go with me and help equip me for the exciting, if rather daunting, challenges and opportunities ahead. I had not been anticipating a move quite so soon, but I have discovered that following a call from God is often full of surprises and I look forward to the new ministry to which that calling is now leading. Anne will be consecrated at Paul’s Cathedral on September 29th and take up her new ministry in Birmingham after her move in October. Read the Downing Street announcement.